When anyone is purchasing certain land in New Zealand, there are procedures to follow to determine whether or not consent from the New Zealand government is needed. The Overseas Investment Office administers New Zealand’s overseas investment laws. From 22 October, 2018, these rules changed to include most residential and lifestyle properties. In general, overseas people who are not residents, cannot buy homes to live in, but other investment opportunities are available. Your Property Brokers real estate salesperson will help you through this process. There are also some useful sites to visit that will help you find out if you need consent to invest in New Zealand. QV: Search the property of interest to see if it is categorized as either ‘residential’ or ‘lifestyle’ for the purposes of the District Valuation Roll. If it is, it is deemed to be ‘residential’ for OIO purposes (you will find the category code listed under ‘Building Type. Some local councils also provide this information). This includes most houses, flats and apartments, however there are also fairly large lifestyle blocks that are considered residential. Bear in mind that it could also be sensitive land for other reasons, in which case different rules apply. New Zealand Now: is a great place to start. Use this tool to understand if you are able to buy. Land Information New Zealand (LINZ): has a lot of information so that you can find out more about the Overseas Investment Office requirements and apply for consent if you need it. 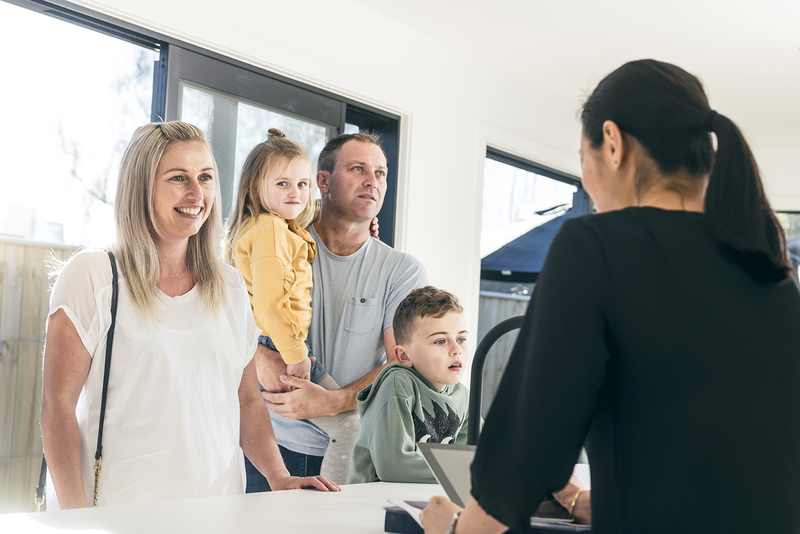 From 22 October 2018, everyone buying residential and lifestyle land needs to state whether the transaction requires consent – this applies to New Zealanders as well, not just overseas people. A Residential Land Statement will need to be completed, with your solicitor or conveyancer, to determine whether consent is required. It is an offence to provide a false statement or enter into an unconditional agreement without required consent. Talk to your Property Brokers salesperson about the Residential Land Statement. It is important to understand the requirements early on in the buying process. You are advised to seek legal advice as soon as possible, especially if you think that consent is required, as it can be a very lengthy and costly process. In some cases, land will be residential, but also sensitive for another reason, such as adjoining water or next to a lake or reserve. In those cases, the complexity and cost involved is greatly increased, along with tests requiring the knowledge of a specialist property lawyer (see Applying for consent to purchase New Zealand assets). Land is sensitive if it is or includes a type of land listed in Table 1 and that type exceeds the area threshold. Land is sensitive if it adjoins a type of land listed in Table 2 and exceeds the area threshold. Disclaimer: This website provides general information only. Property Brokers does not assume any responsibility for giving legal or other professional advice and disclaims any liability arising from the use of the information. Property Brokers advises you to seek legal and/or other expert advice.